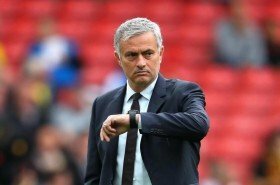 Manchester United have confirmed the dismissal of Jose Mourinho from the head coach role shortly after the club's disappointing 3-1 Premier League defeat at the hands of Liverpool. The Portuguese tactician had been under immense pressure over the past few months amid United's average start to the season and he has now been relieved of his duties with the club very much out of the title race. "Manchester United announces that manager Jose Mourinho has left the club with immediate effect.The club would like to thank Jose for his work during his time at Manchester United and to wish him success in the future," a statement read on the club's official website. United have temporarily handed Michael Carrick with the training duties for the forthcoming days but they are widely expected to announce a caretaker with ex-Paris Saint-Germain head coach Laurent Blanc among the leading candidates on their wishlist to assume the role.